Where Do Old Barns Go To? I took a pic of this old barn on Center Road in Kochville Twp. a few years ago. I drove past it recently and it was laying in a pile of wood and timber with some men working on it. I am not sure what happened to it but like many old barns, I have seen it meet its date with destiny. I know I ain’t as old as some of you reading this but I remember growing up in the 70’s and the western side of Saginaw Township and most of Kochville along Tittabawassee Road was farmland. I remember learning in school that several acres per year are converted into subdivisions and other uses than farming. As time marches on and the harsh Michigan weather punishes the old wooden barns they are slowly leaving one by one. The new barns nice with their shiny painted metal sides but they are not the same as the old hand-built wooden barns built by hard-working farmers and their families. 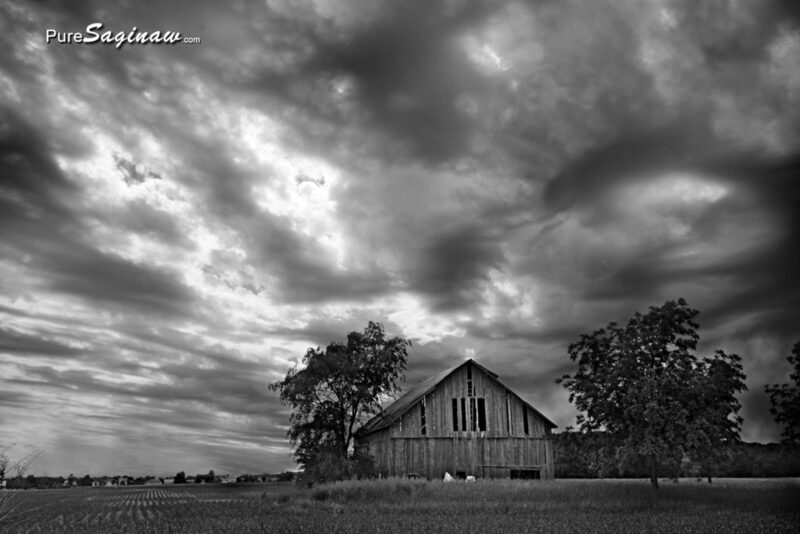 I will probably be long gone by then but I wonder what wooden barn will be the last one standing in Saginaw County. I hope you will subscribe to email updates since facebook prioritizes your friends a family they will not show you many of my posts, I promise I won’t email you a bunch of junk email, it’s only to notify you of a new post which will be two or three times a week. 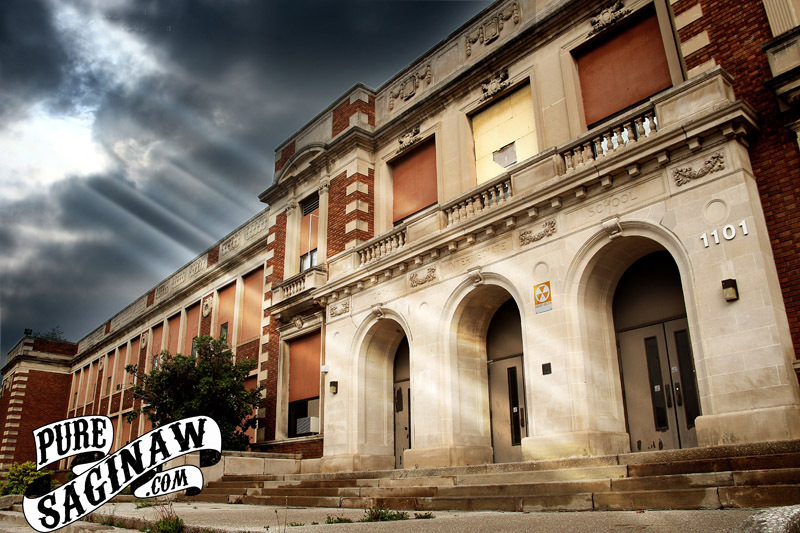 When I drive down Remington near Saginaw General Hospital I see the field where North Intermediate School used to stand and its almost hard to believe a massive school building once stood there. It’s been about 4 years since the old school was razed.